Begin with Uncle Ben's® and bring a smile to meal times. 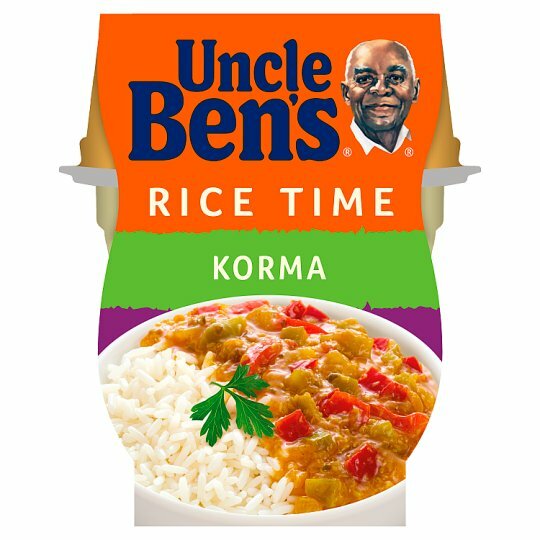 With our specially prepared rice, carefully selected ingredients and a touch of Uncle Ben's know-how, you can enjoy perfect rice meals every time. Simply no need for artificial colours, flavours or preservatives. Store in a cool, dry place., Once opened, refrigerate for up to 3 days. 1. Peel back the lid of each pot about a quarter of the way across. 2. Place both pots in the microwave and heat for 1 1/2 minutes at 800W. 3. Open carefully, pour the sauce over the rice, stir together and enjoy! Take care! The pots will be hot after microwaving.